As you said, it is tough to cook for one or two. It is surlely an art which I need to learn. 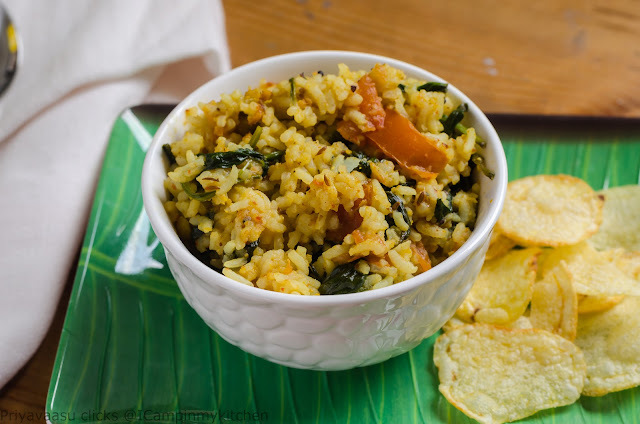 This spinach rice looks so yum, perfect way of using left over rice.. When I want/have to cook just for myself, my kids will want to taste it and so I end up making a little more than 1 serving :) But sometimes I have to make stuff just for myself and as you mentioned it gets very tough. This one sounds perfect for me. 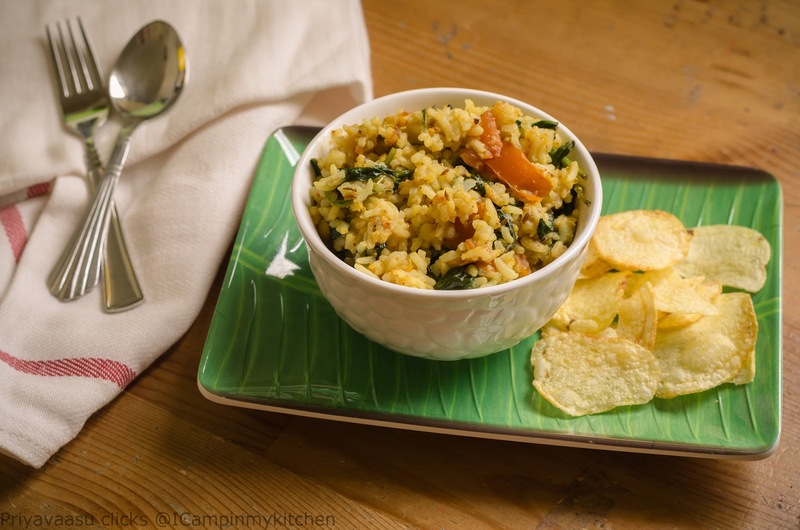 One of the best way to finish leftover rice, such a super healthy spinach rice. 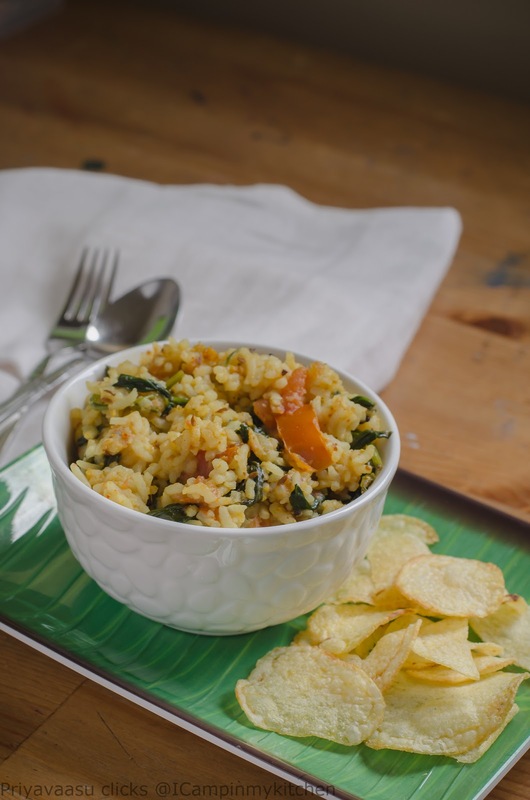 This is what I do with my leftover rice. Good one. 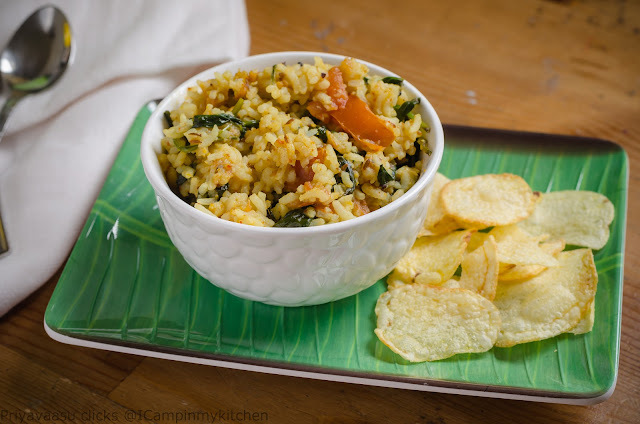 Such a simple and flavorful spinach rice. I can see myself making it one of these days.